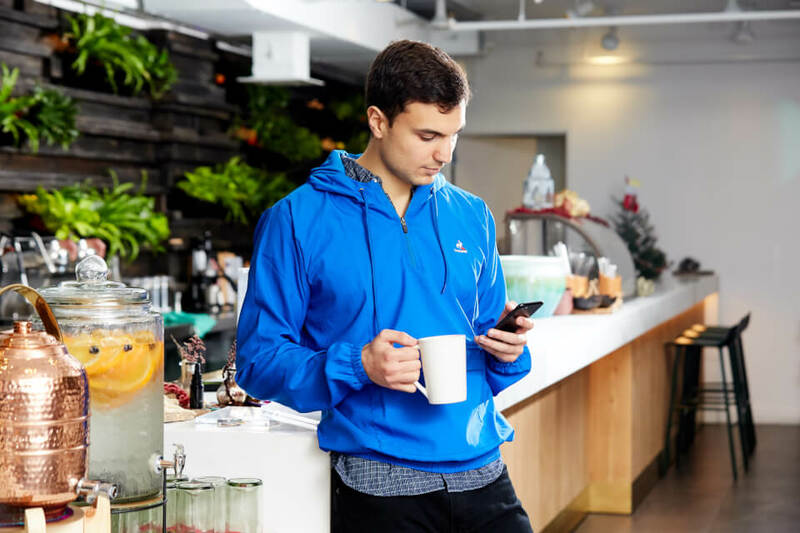 Kisi allows you to use flexible, yet secure, credentials from mobile phone access, on iOS or Android, Kisi Passes, Kisi Tags, or your own existing cards or links. The credential follows your use-case. Access made easy—in so many ways. Some people like to use their phone for everything, others don't. Others would like a temporary link to not have to pick up a card. 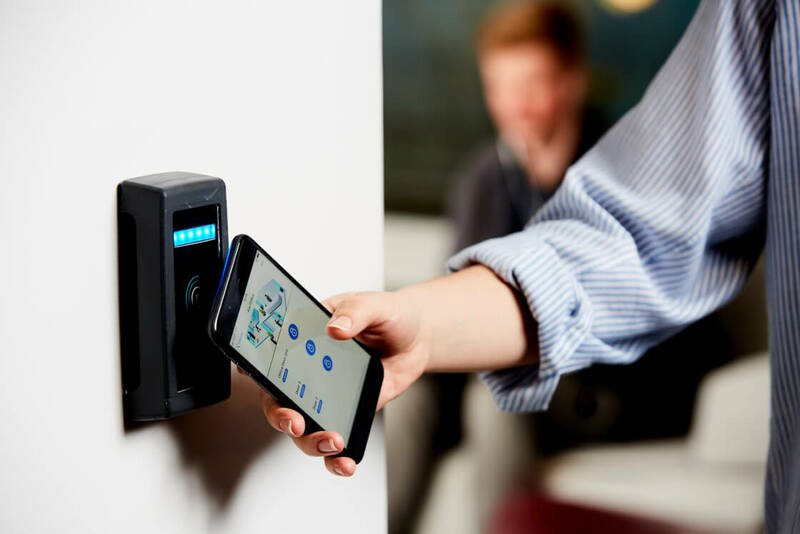 Depending on use-case and preference, Kisi gives you flexible yet secure options to access your facility. iPhone (BLE) and Android (NFC). Kisi Passes, fobs or your own branded card. 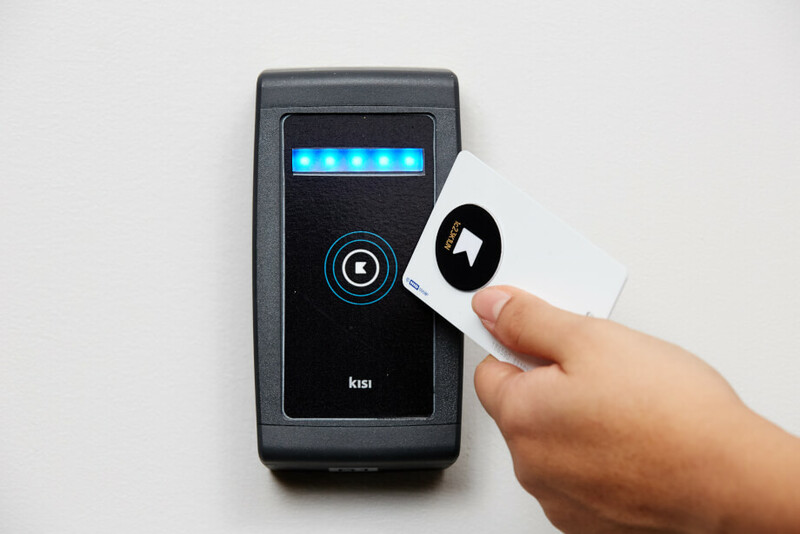 Use existing NFC cards or the Kisi tag to enable your building cards. Pull up the app and press a button, or tap your phone like a card against a Kisi Pro Reader so you don't have to open the phone. Use Kisi's fob and hold it up to the Kisi Reader. 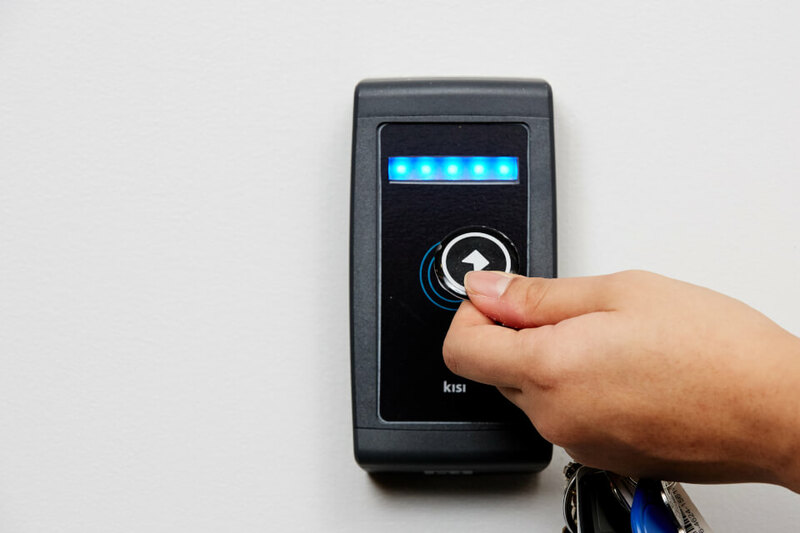 Equipped with the same encryption technology, this NFC fob is a great alternative to typical keycards. 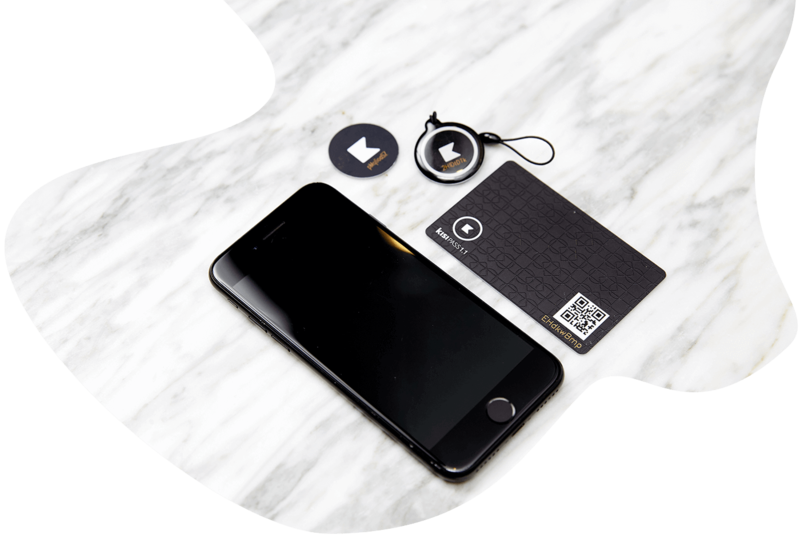 Kisi provides state-of-the-art NFC-based encrypted passes or tags that users can use for any Kisi location where they're authorized. Kisi also offers customized cards—minimum orders are 200 units with a 6 week turnaround. If you have cards— why get rid of them? Some landlords provide you with cards that you have to use for your building—and you don't want to carry two cards. That's why we can enable your card with a Kisi Tag to work with the Kisi Pro Reader so you have a seamless, yet secure, transition. You can now use a QR code to unlock your doors if you don’t have a reader. Simply paste the QR code where you’d usually install the reader, and scan it with your phone. 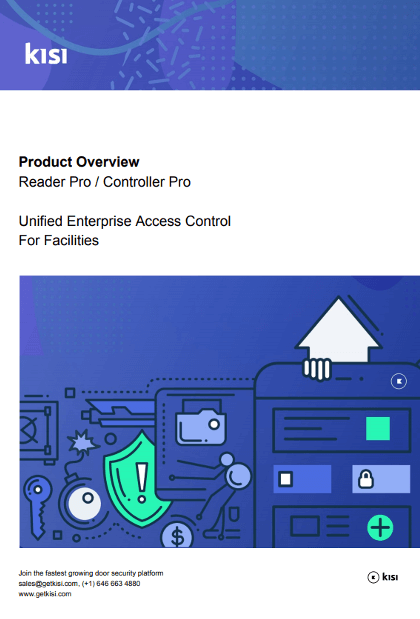 The authentication will be communicated to the controller, which will unlock the door. In-depth overview of Kisi's hardware, architecture and use-cases. A starter guide to Kisi's system to understand its value in a quick PDF.